This article appeared in the May 2018 issue of Terra Firm, the Newsletter for the Sierra Club Lower Hudson Group. Closing a nuclear reactor means another gas plant will open to replace it. 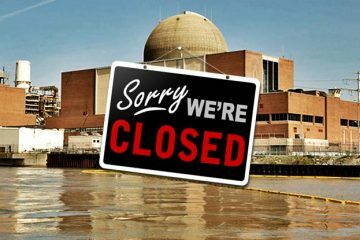 We need to keep nuclear plants open in order to hold greenhouse gases down. Why can’t environmentalists understand that? In the NY grid and in the neighboring PJM grid we have a surplus of electricity. That means the reactors can close and do not need to be “replaced” with any kind of new generation. Power plants are already producing more electricity than we need. 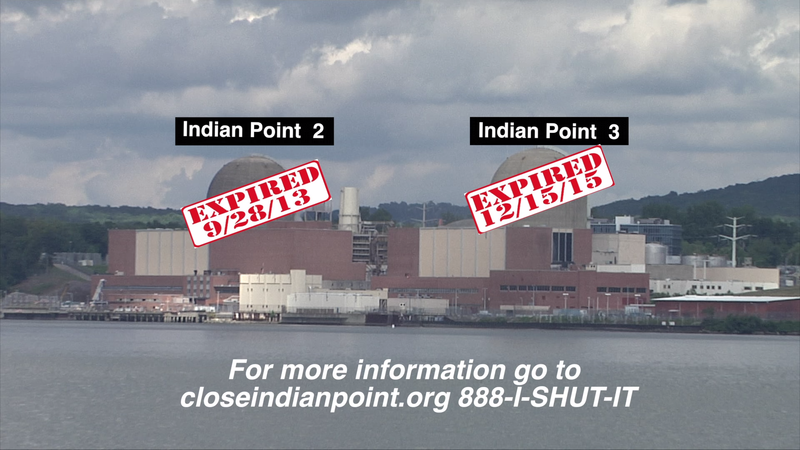 That means closing Indian Point results no additional greenhouse gas emissions. The Public Service Commission has been preparing for an Indian Point closure since 2012 (http://tinyurl.com/nycenergy) and over 5,000 megawatts of electricity has been added to the system through transmission upgrades, efficiency and demand reduction from distributed generation. Greenhouse gases from this mix have already been figured into our energy mix. The results have been so successful that the PSC terminated their requests for new proposals since additional generation was not necessary to replace Indian Point. What happens to all of this surplus electricity? Where does it go? Much of the electricity currently produced is wasted and “goes to ground.” Some generators like wind and solar can “dial back” their production. Plants that run 24/7 like nuclear reactors cannot dial back; they are either on or off. Here is an analogy that might be useful. Most everyone is familiar with the three pronged plugs that are in common use around your home. The third prong is called the ground and is a safety feature to divert a sudden surge of electricity away from whatever device the plug is attached to. On a much larger scale it is similar to the third line on substations and transmissions lines. It is a safety feature that protects the system from large swings in voltage. If there is too much electricity in the system and it cannot be dispatched to a buyer – it goes to ground. That means it is actually discharged into the ground through the third wire and harmlessly dissipates rather than causing a huge surge in the system that could disrupt transmission. Since generators are currently producing too much electricity some of them can drop out of the market and the net effect is that less power is wasted or goes to ground. Another important factor is declining demand. Common knowledge has it that demand will always increase because of the proliferation of electronic devices and an expanding population. While common knowledge is flat out wrong it is exploited by corporations, hedge funds, and politicians to sell the public on the need for additional electricity. Communities facing a job loss when a company closes are anxious to find a replacement and frequently will grant a tax write off for seven to ten years. Gas plants are relatively cheap to build and go in quickly. Even in a market with surplus energy these plants can make a profit since they are not paying a tax bill. What happens when the tax breaks expire? Frequently the plant will close and the owners move on, having made their money back plus a handsome profit. This is a cynical business model that has nothing to do with supply and demand. The myth of drastically increasing demand is not born out by any statistics. The Electric Power Research Institute, the research arm of the industry, just released the US National Electrification Assessment for 2018. Nationally, from 1990 to 2000, demand grew by 2.7% annually. From 2000 to 2010 demand dropped to .82% increase annually, a third of what it had been. How can this be a reasonable person might ask? The short answer is efficiency, conservation and demand response. Better design has resulted in more efficient machines and large users of electricity are figuring out how to save money on their electricity bill by putting solar panels on their roof tops. Roof top solar on private homes and public buildings has also played a role in reducing the need for generation available from the grid. Our grid is moving away from the old fashioned model of big centralized power plants that generates electricity 24/7 and can’t be turned off when the power is not needed. Smart planning dictates that we improve transmission, where appropriate, and at the same time move toward community distributed generation that allows the construction of small fossil free generators closer to where the power will be used. We need a mix of methods – one size does not fit all. That way we can have a solidly reliable system that produces the electricity we need with less to be wasted and to go to ground. That leaves nuclear power as an outdated technology that the market has passed by. Closing a reactor means no more high level radioactive waste being produced, no more insurance guarantees like the Price Anderson Act, no more damage to the Hudson River and fish populations, no more radioactive releases to the air and water, no more leaks, no more nuclear subsides for failing reactors and no additional greenhouse gases since emissions from existing plants have already been figured into the state’s energy mix. In the 2017 Power Trends the New York Independent System Operator, guardians of our grid, clearly laid out two scenarios for moving forward: one with gas generation and one without. We must demand a sensible, green energy policy and take the road of fossil free generation for the sake of our children and our planet. That is the goal of every environmentalists working hard to close nuclear power plants and all fossil fuel generation. Let me first introduce myself. I am not only a member of the Sierra Club, but also a member of the Croton-on-Hudson Sustainability Committee and the Environment Chair of our local Indivisible chapter. Full disclosure: I have also been a practicing nuclear engineer for more than 50 years. 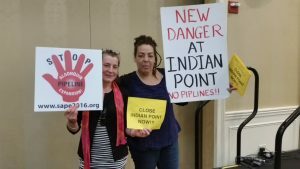 I am writing you with respect to Marilyn Elie’s article “Indian Point Needs Replacement? Not Really!” in the May-August edition of Terra Firma. I am contacting you because no contact info was given for Ms. Elie. We all share a strong commitment to fighting climate change and the destruction it causes around the world. We may differ in our approaches, but our objectives are the same. However, it does our cause no good if we disseminate information that is not correct or make claims that cannot be substantiated. That is what the other side does, and I’m afraid that such problems appear in Ms. Elie’s article. Indian Point currently generates about 2,000 MWe of carbon-free energy, operating at a capacity factor of about 90%. When the plant is shut down, all of those kilowatt-hours will have to be replaced from somewhere else. The demand for that power will not go away when the plant is retired. It is irrelevant whether that power comes from existing facilities or new plants, although there are two new large gas-fired plants under construction in Duchess and Orange Counties. The only question, as it relates to climate change, is how that replacement energy is generated. If we assume that all of our renewable energy facilities (hydro, wind, solar, etc.) are already operating at maximum capability, a pretty good assumption I think, then the replacement power will be coming from other sources, principally, or entirely, from gas-fired power plants that will produce large quantities of greenhouse gases. While new wind and solar resources are under construction in NY, their volume and schedule are not nearly adequate to replace Indian Point’s power any time soon. There is currently a 1,000 MWe transmission line under construction that will ostensibly bring Canadian hydropower from Quebec to our area, but it is unclear when, if ever, it will be in operation. And at best, it will make up only half of Indian Point’s generation. So Ms. Elie’s claim that “closing Indian Point results in no additional greenhouse gas emissions” is clearly incorrect. If we accept her claim that there is currently a surplus of capacity, that may mean that no new facilities need be constructed, but the fact that this surplus is principally fossil-fueled means that its use will result in greenhouse gas emissions far above what is currently being released. Further, Ms. Elie identifies this excess as being from the NY and the PJM grids. There are four nuclear units operating in NY, besides Indian Point, and no fewer than 15 such units in PJM (although, unfortunately, some of these are also scheduled for early retirement). Thus, any power we receive from these sources will contain a significant component of electric generation from other nuclear power stations. And is it not hypocritical to demand the shutdown of Indian Point while replacing at least part of its power from other nuclear plants? 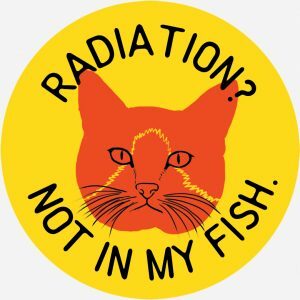 Nuclear is not OK for us, but it’s fine for those in upstate NY and in other states? Ms. Elie’s claim that we are wasting much of the electricity that we current generate and that the surplus generated at any time “goes to ground” indicates a misunderstanding of how the grid operates. The NY Independent System Operator (ISO) controls the amount of power coming into the NY grid to match the demand at any time. If demand is declining, as it does every night, the ISO will direct operating power stations to cut back on their generation and, at times, have units taken off line. A somewhat simplistic explanation, but adequate for this discussion. For reliability purposes, the total amount of available capacity is based on the maximum expected demand (which in our area occurs in mid-summer) plus a safety margin to allow for some units being off-line for maintenance, etc. There are also regional considerations based on the amount of transmission capacity available to move power from one part of the state, or from other states, to where it is needed. But only those units that are required to meet the demand at any time are in operation. We do not have all available units operating full blast all the time with the excess power being somehow dumped into the ground. There are a number of other errors of fact and interpretation in Ms. Elie’s article, but I will not take the time go into them here. Suffice it to say that if we are going to achieve our objective of reducing greenhouse gases from power generation and other sources, we have to face the realities of the situation and not pretend that real problems don’t exist. Otherwise, we will not address these challenges and solutions will elude us. We have made much progress in recent years and renewables represent a growing share of U.S. generation. However, in 2017, according to the U.S. Energy Information Administration, wind power represented only 6.7% of total generation and solar, 1.9%. Hydro was 7.4% and nuclear, 19.7%, by far the largest single source of carbon-free generation in the U.S. U.S. capacity factors for wind in that year averaged 36.7%, while solar was 26.9% and nuclear, 92.4%. While we must certainly promote the expansion of renewables to the maximum extent possible, would we not be far better off from a climate change perspective, to keep all of our existing nuclear plants (with the admitted problems associated with them) in operation as long as possible and use all of the new renewable capacity, along with whatever efficiencies we can achieve, to reduce the amount of power generated by gas and, especially, by coal?